Has there ever been a recorded exorcism conducted under the authority of the Mormon Church? Exorcisms aren't recorded in the LDS Church, in fact the ordinance itself isn't even documented, it's known unofficially as one of the, "Unwritten Ordinances" of the church, along with dusting your feet (see Matt 10:14) and other similar ordinances. There are many stories which exist as Mormon urban legends, mostly involving missionaries serving in highly superstitious societies. I heard many serving as a missionary, one particularly prominent tale is of a, "haunted house" somewhere in South America, the juste of the story is there were many evil spirits dwelling in a single residence, and when the Elders commanded them to leave there was audible screaming and all the windows and doors in the house opened and slammed shut. I myself was called to the homes of a couple families of ethnic origin (Haitian and Puerto Rican) because of paranormal activity. One was on account of a sighting of an evil spirit flying around in a kitchen, sticking it's tongue out at people, the other was to the home of a woman who was acting... not like herself/possessed. Both were very unsettling experiences, but neither resulted in casting out devils, though the thought had crossed my mind, instead we offered a blessing on the homes, which seemed to suffice in both instances. The rest are kept secret, as are most miracles performed under the authority of the Priesthood. Here's an example of when Joseph Smith cast out a devil from Newel Knight: The Knights and the Trial of Joseph Smith. It's not something that the church would publicize because it is a sacred subject. Having served as an LDS missionary, I can tell you missionaries have that same priesthood and can cast out devils. Technically, the LDS church believes it is the restored church, the same as when Jesus was on the earth, so all of those incidents would count as well. As a missionary in Chicago in the early 2000s, my companion and I were asked by an elderly member of the local congregation (called Wards) to give her granddaughter a blessing as there were no priesthood holders still alive in the family. This is something were were asked to do rather often, and so agreed with no problem. When we arrived we both felt that there was something dark and oppressive about the home, making us feel as though we were both being constantly watched, and we both felt like our skin was crawling. The young woman we were asked to bless refused to let us near her. She became violent, throwing anything she could get her hands on at us, and screaming obscenities at us. Her grandmother apologized to us and asked us to leave. We reported the incident to the Bishop of the Ward, and he made a visit of his own, only to meet a similar reception. Eventually an area authority became aware of the girl, and he determined that she was under possession of an evil spirit. Several leaders from the Ward, as well as the area authority, our Mission President, and several other missionaries, including myself and my companion were asked to come for an exorcism. We were told to join a circle around the girl while the Area Authority anointed her with olive oil and spoke a special blessing that we were told never to repeat to anyone outside that room. We were also told to never give specific details of what happened during the blessing so as not to empower the entity that we cast out further. After the blessing, the girl improved and her life returned to normal. However, every one of the missionaries who participated, including myself, were either injured severely enough to be sent home from our missionary service, or became ill for such an extended period of time that were dismissed from service. During the months before I returned home after being clipped by a car while riding my bike down the street our apartment became a very uncomfortable place to live. We often heard strange noises outside our third story windows. Knocking on the outside walls of the building. Horrible smells from outside. Nothing ever actually happened inside of the apartment, but we always felt as though we were being watched from the windows. So yes, Mormons do perform exorcisms. I participated in one, and afterward it seems that the entity involved did its best to make the lives of those who performed it rather miserable. A lot of people in this day and age feel that possession isn't real, and that it can all be explained by mental and medical disorders. I have to say, it's real. Nothing else can explain to me what happened that night. It's been fifteen years and I still have nightmares about it. I wouldn't want to talk about the details of what went on that night even if I hadn't been told not to. They are officially recognized, yes. That being said, the record of them is seldom recorded to be re-shared. These principalities and powers of evil are best left out of official records and not shared publicly. Know this, though, the Priesthood has the power to literally move mountains. Not the answer you're looking for? 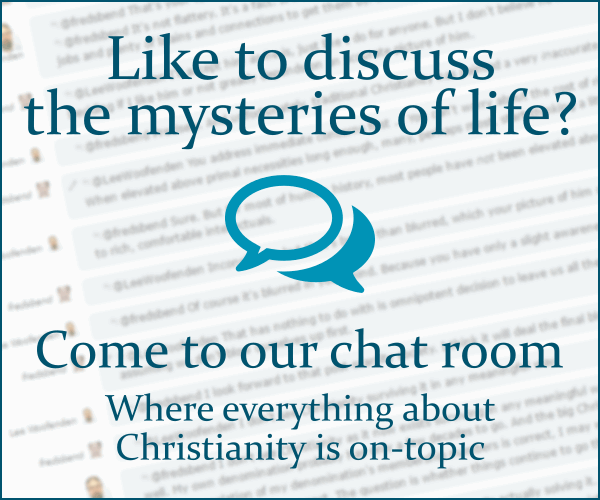 Browse other questions tagged lds exorcism or ask your own question. Into how many languages has the Pearl of Great Price and the Doctrines and Covenants been translated? Any non-exorcism style of healing miracles recorded in the Scripture? Which has greater authority to Mormons: Book of Mormon or the Bible? Is the English translation of “Book of Mormon” ever revised or updated, and if so, on what basis given that the golden plates have disappeared? What are the Main Characteristics of Mormon Prophets?